Personalized 4 x 7 inch large save the date round corner magnets offer you lots of face - time over refrigerator doors! You can choose to be li’l lavish while strutting out details of your big day. People who receive it as a gift will not only treat it as a pre-invitation, but also as a reminder of the impending event and also as a souvenir of the great event, which they attended. 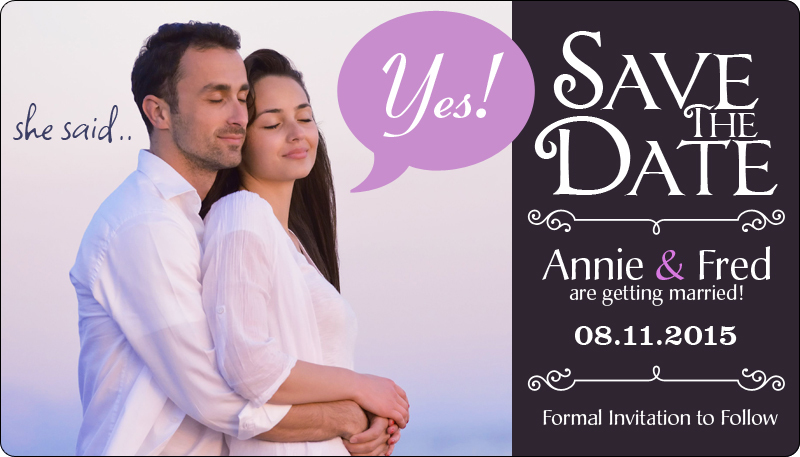 This means a large save the date magnet is always a best bet for sending pre-invites.